Forget the lightweight boot battle. 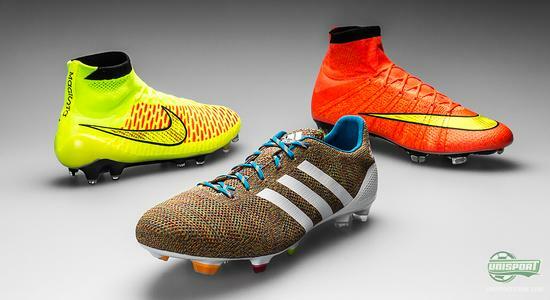 2014 is all about the battle of the knitted boot. Just five months into 2014, and we have already been presented to three football boots with a knitted upper. Quite a few considering that this was not a development that we had seen coming. 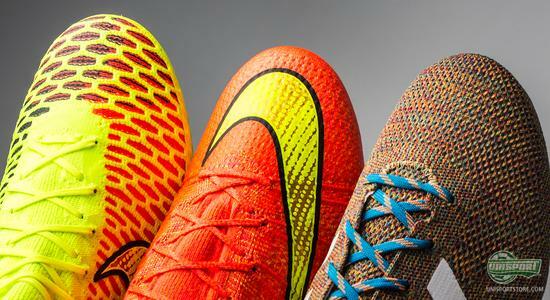 We put the Samba Primeknit, Magista Obra and Mercurial head to head. 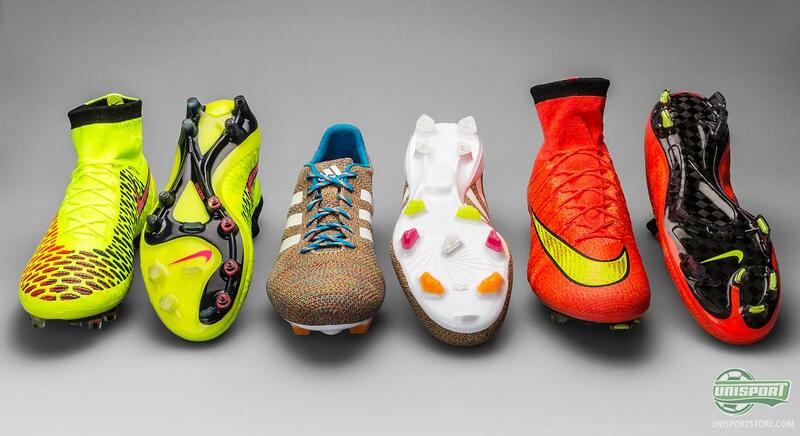 The football boots are among the most important tool for a footballer. The more comfortable you feel in your boots on the pitch, the more you can concentrate own your play and skills. Since the millennium, we have seen a rapid development in terms of the technology in football boots, and two players have very much been the first movers in this area; we are of course talking about Adidas and Nike. Therefore, one may say that it is only right that it is these two giants who have introduced the world to the very first knitted football boots. Adidas were first with their Samba Primenkit. A football boot that we, so far, have only seen on pitch a single time as Luis Suarez wore them in the match between Liverpool and Manchester United. A match he also scored a goal in. The Samba Primeknit came as a highly limited model, and has taken a role as more of a collectors item then an actually match boot. Non the less, the Samba Primeknit is surely a boot that is fit for playing in. The football boot is built on the foundation of the F50, and is also to be considered as a lightweight boot. This does also make the Samba Primeknit the least revolutionising boot, of the three boots. 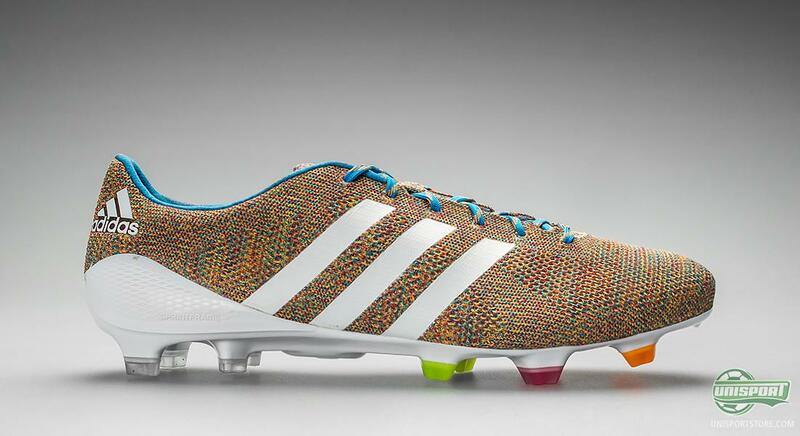 The upper is the actually only part of it that really stands out from the regular F50 Adizero. 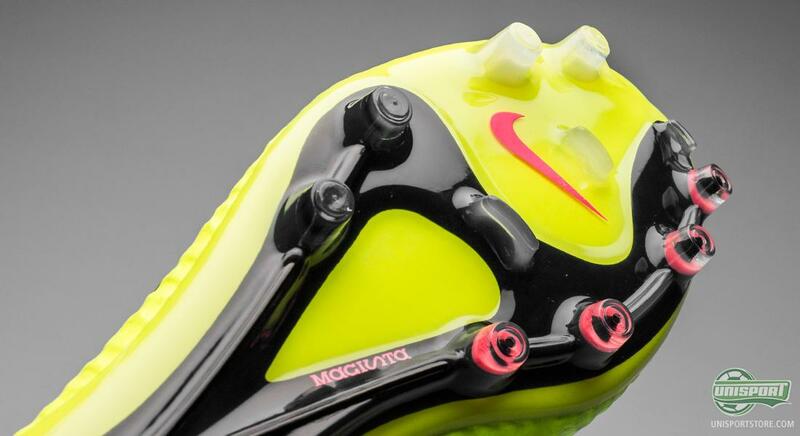 The weight has been kept at 156 grams (Just like the Messi signature boot). The upper is however also fundamentally different. Adidas call it ‘The Knitted Fit’ and gives a uniquely tight and comfortable fit. It was also pretty unique – until Nike showed off their Flyknit uppers. The whole idea behind the woven technology is in essence the same for both Nike and Adidas. It is their ambition to combine the freedom of playing barefoot, with the stability of playing in a football boot. They have therefore looked to the material used on their most popular running shoes, as the material ideal for a unique comfort. After Adidas kicked of the party with the Samba Primeknit, Nike weren’t slow to pick up the invitation. 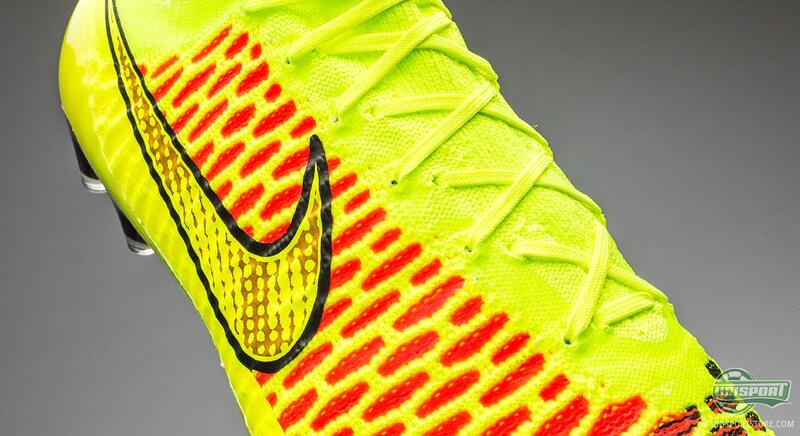 The Magista Obra was therefore the first boot to combine Flyknit with a tall ankle sock, which went by the name Dynamic Fit Collar. 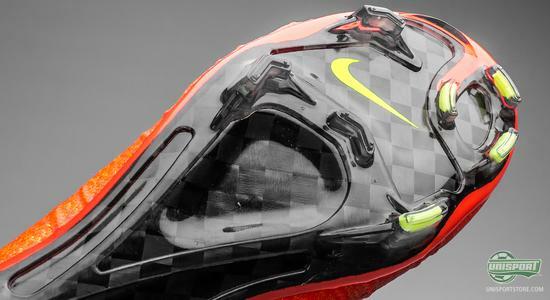 The boot was presented with Andres Iniesta as the front-figure and replaced the CTR360-collection. 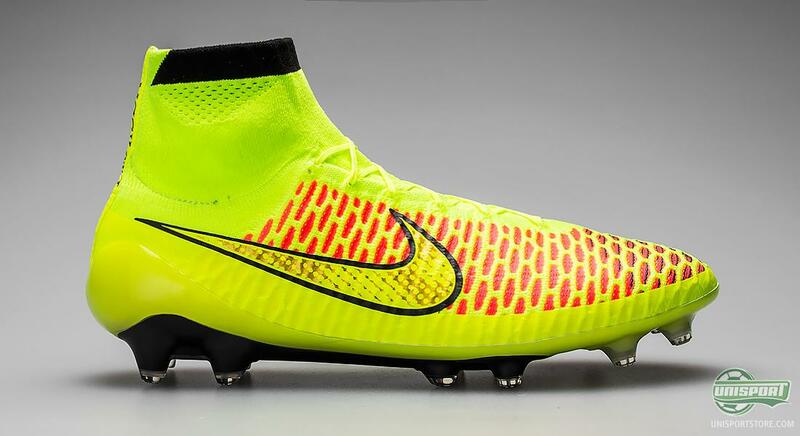 The Magista Obra has been under development for around four years and is the result of a long research period, where both players, physiotherapists, doctors and others were involved. The boot was developed with three aspects in mind: Fit, Touch and Traction. Three areas, which are critical to the controlling midfielders ability to perform at the very highest level. The upper is made with a 3D texture that ensures better contact between the boot and ball. This texture is shaped by Brio cables, which also work to embrace the foot and give a tight and locked down fit. 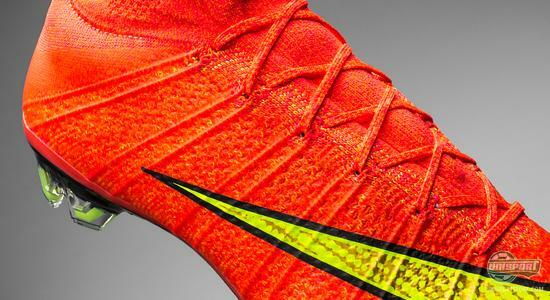 Have you not pre-ordered the Nike Magista Obra yet? Do it now - €275. On top of an upper made of Flyknit and the Dynamic Fit Collar to improve Fit and Touch Nike have also equipped the Magista Obra with a sole made from nylon and PEBAX. These materials give unmatched flexibility and stability, so you have a solid grip in the ground. Especially beneath the toe and boots medial side it is very important to have great flexibility and it is therefore made with the nylon material here. At the same time the boot is fitted with conical studs to give players movability in all directions, which really makes this a playmakers boot. 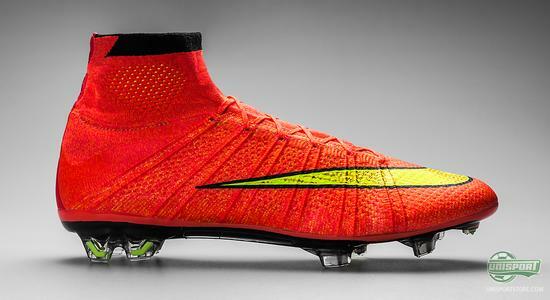 Recently the weave revolution culminated with the introduction of the Mercurial Superfly IV. 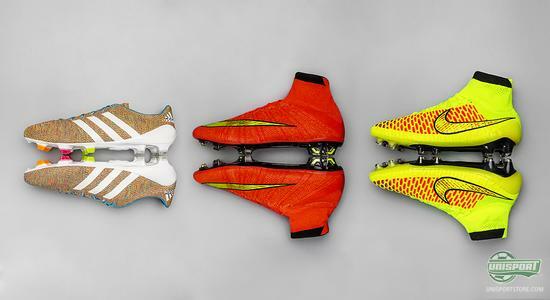 A football boot, which builds on the same technologies of the Magista Obra, but with the Mercurial-collections specific focus on speed in mind. The Superfly continues the legacy from previous generations with the same V12 last, as well as a carbon fibre soleplate, like we have seen on previous Superfly models. The V12 last means that the fit around the foot is far more narrow and tighter, than on the Magista Obra, which is made with the GF13 last, like the one we also see on the Hypervenom and Tiempo. On top of having a tighter fitting last, Nike have also equipped it with the Brio cables, which work a bit like a suspension bridge. They run around the lacing holes, so when you tighten the boot, the upper moves in around the foot. The Mercurial Superfly IV can be pre-ordered from the 26th of May. Get much more information about it here. The new superfly is made for explosive speed and this has been acquired mainly through the two-layer carbon fibre sole, as well as a new stud-configuration that works to give the player a very aggressive grip in the ground. This has been created in close collaboration with the world’s best footballer and proven fast man, Cristiano Ronaldo. 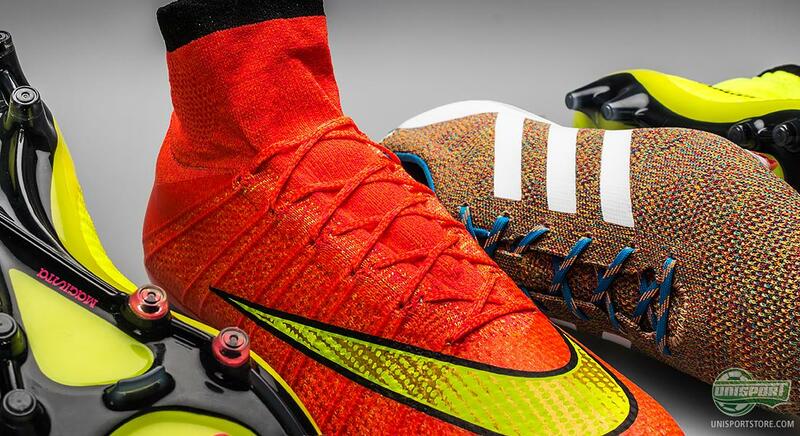 The three football boots are all made with one technology that results in a football boot, with a woven upper. But where do the uppers differ? Well, at Adidas they have chosen to cover the material with a polymerised fluid that ensured you had the great durability in all weather conditions. At Nike they used a 0.1 millimetre thin layer of especially developed NikeSkin instead, which had been made with All Conditions Control too. This difference in materials has resulted in the Magista Obra and Superfly having far softer uppers, than the Samba Primeknit. 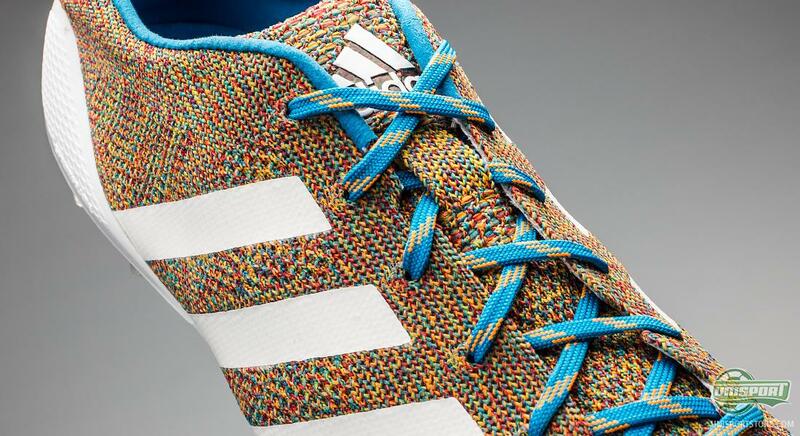 The upper on the Samba Primeknit is far stiffer and rougher. It is hard to say what works best, but there is no questioning that the Flyknit gives a far tighter and more comfortable fit than the Primeknit in this area. The war for the woven football boot is upon us and in the last three months alone, we have been presented with three boots embracing the new technology. The question is now; is this just the beginning of a dominating trend, or is it just an experimental phase, which will soon be forgotten? After three woven boots, what is your verdict, has it come to stay?